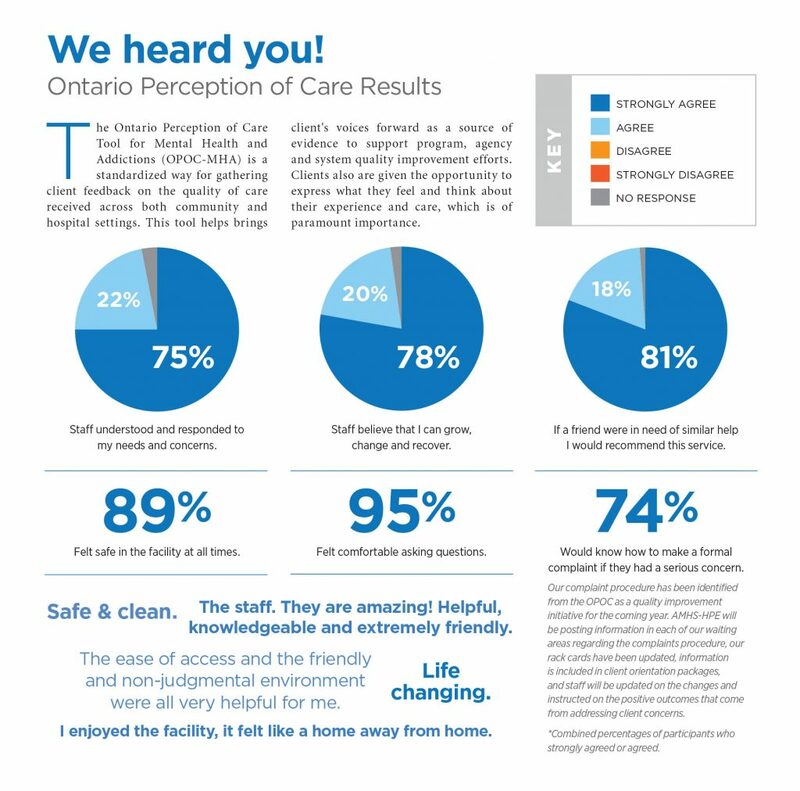 The Ontario Perception of Care Tool for Mental Health and Addictions (OPOC-MHA) is a standardized way for gathering client feedback on the quality of care received across both community and hospital settings. This tool helps brings clients’ voices forward as a source of evidence to support program, agency and system quality improvement efforts. Clients also are given the opportunity to express what they feel and think about their experience and care, which is of paramount importance.